WMNC has a raptor (bird of prey) rehabilitation center that takes in sick and injured raptors. WMNC’s Raptor Rehabilitation Facility takes care of the raptors until the time that it is determined that they can be returned to their natural habitat. This is a vision that is needed in our local White Mountain communities. Jeff Wolf oversees the rehab facility. Jeff brings an extensive wildlife background with him to the WMNC. 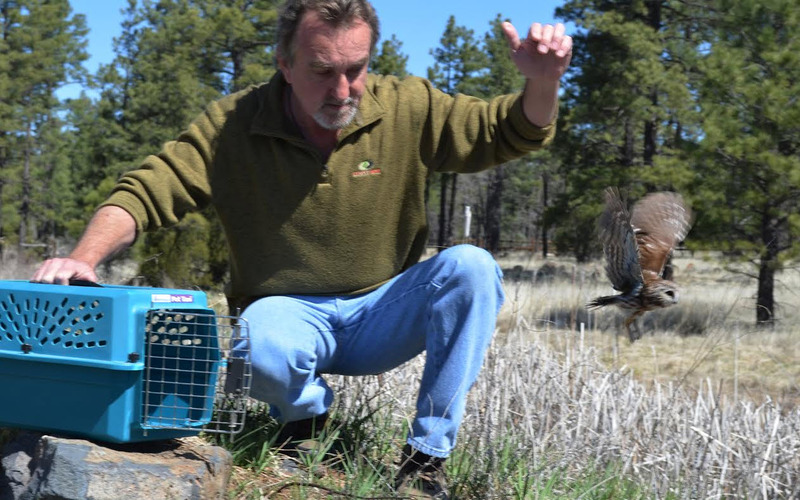 He has worked hands on with the Bureau of Land Management, Arizona Game and Fish, Arizona Desert Big Horn Sheep Society, Rocky Mountain Elk Foundation, and the Black Footed Ferret Program. This facility, as do all things worthwhile, comes with a cost. Animal specific enclosures and flight pens need to be built, electricity needs to be run, water piped to the pens, and storage units for supplies need to be constructed.